Marinna Tadros shows the children how to make putty. 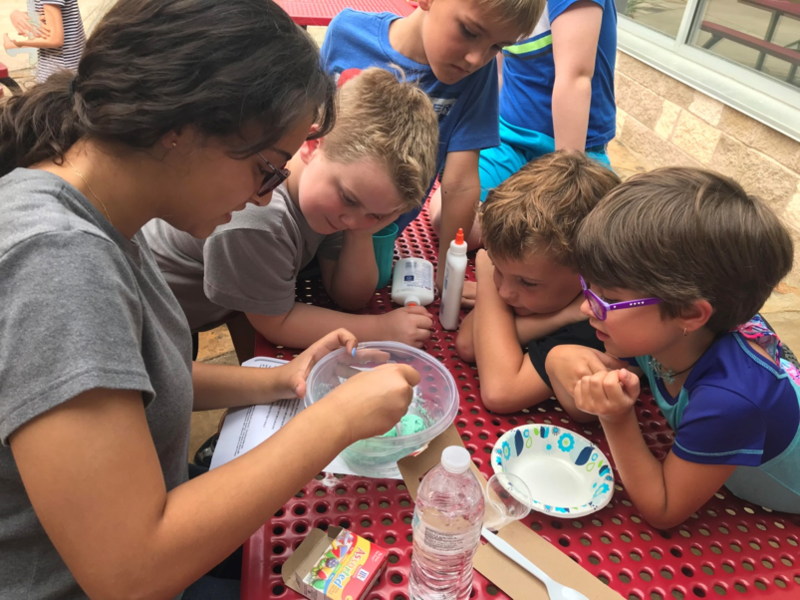 On September 26, 2017, several students with the University of Arkansas Biomedical Engineering Society visited Butterfield Elementary School to perform a variety of science experiments with the school’s science club. 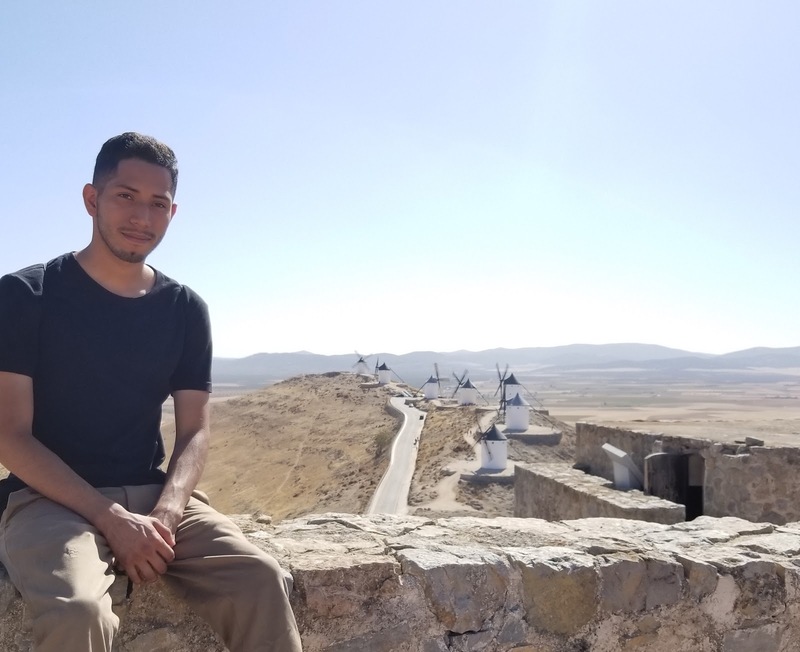 While most of our events take place on campus and concern only biomedical engineering students, community outreach is also a priority for this society. The opportunity to share scientific knowledge with children is particularly important, as early cultivation of scientific curiosity in young minds is essential for the emergence of tomorrow’s leaders in science and engineering. Nasya Sturdivant is a doctoral student in biomedical engineering here at the U of A. 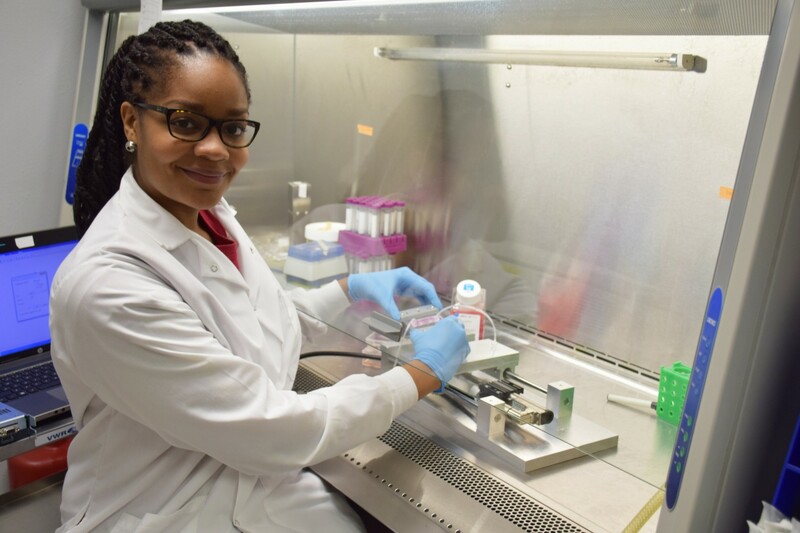 She is presently at work building an effective synthetic blood-brain barrier that will help improve the treatment of traumatic brain injuries. Sturdivant: I didn’t know I wanted to study biomedical engineering until my junior year in undergrad. A generation ago, the field of biomedical engineering wasn’t widespread. So it wasn’t a subject I grew up wanting to study. I did, however, know I wanted to be in a life sciences field and while in high school I gained interest in engineering and design. Researching a combination of the two is when I began to learn more about the emerging field of biomedical engineering. UArk BME: You received your undergraduate degree from North Carolina A&T State University in Greensboro, NC. What made you choose the University of Arkansas for graduate school? Sturdivant: The Department of Engineering at the U of A was very new when I joined. The exciting research interests of the faculty along with the extreme potential for growth of the department was a huge draw for me. I also had the opportunity to visit the university and the department before applying and I really meshed with Dr. Balachandran, my current advisor.